Just in time for Christmas, here is the final installment of the 2011 Best Runs series. I would like to thank all of the race tracks & organizations that either submitted or allowed us to track the numbers from their race events. 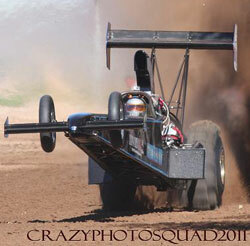 In 2011, the Fuelers were thundering all season putting on great shows at each event. The field was wide open most of the season and led to some awesome racing. Let’s take a look at the Best Runs for Top Fuel in 2011. The 2012 NSRA Quality Aircraft Car Sand Times Drag Racing Series welcomes Good Vibrations Motorsports on board as a sponsor of the race series in the upcoming season. Good Vibrations will be the sponsor of the new Top Eliminator Qualifying Bonus award. The #1 qualifier in the Top Eliminator class at all eight NSRA point series events will receive a $200 certificate from Good Vibrations Motorsports. Good Vibrations specializes in Supercharged & Mechanical Fuel Injection applications as well as stocking a large selection of gaskets, fittings, safety equipment, and race accessories. For more info, visit the Good Vibrations Motorsports web site. Sad News: Harland Sieg R.I.P. Harland Sieg, the founder of Thunder Valley Sand Drags in Grain Valley, MO has passed away. Harland along with his sons Jeff and Stacy opened the track around 20 years ago and it is still going strong with Jeff & Stacey taking over operation of the facility in recent years. Harland was also a fixture at the bigger Midwest events crewing for Jeff & Stacey’s Blown Alcohol Dragsters. NSDN sends our condolences to Freda, Jeff, Stacey, Tricia, the entire Sieg Family, and the Thunder Valley Sand Drags community. The Top Alcohol class was once again pushed their performance barriers down in 2011. These guys put on a great show at each event with these high RPM, methanol burning machines. 2011 saw the limits of this combination pushed. The data for Best Runs used is from events that we attended or the info was submitted to us. Let’s take a look at the 2011 Best Runs in Top Alcohol. 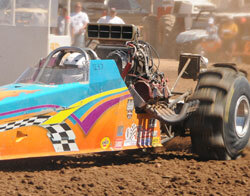 One of the biggest stories in sand drag racing this season was the resurgence of the Fast Fours/A-Fuel category. The turbocharged four-cylinder dragster class had a great turnout for all of the NSRA point series races with a highly competitive field pushing the performance standards of the class. Let’s look at the Best Runs in A/Fuel for 2011. The Las Vegas Jeep Club will be holding their 40th Anniversary Jeep Jamboree at the Dumont Dunes on February 17-19. Several Pioneers of this event will be on hand to celebrate the 40th edition. 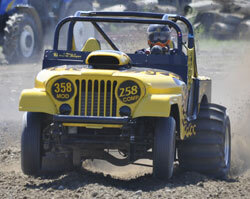 Saturday will feature the Hill Climb portion of the event while the Sand Drags will be held on Sunday. NSDN is planning on making it to this event for the first time to cover the action. View the PDF file below for some Racer/Sponsor Info & click “Read More” to view the Event Flyer. Also, a note for the 2011 NSRA point series first and second place winners, the plaques will be at the Dome Valley February race and handed out on February 3. Moving onward with the Best Runs of 2011 series, we take a look at the season that was in the Top Eliminator category. The goal in this class is to run 2.950 exactly. Racers across the country enjoy the competition in this category, and it makes for some great wheel-to-wheel racing. Let’s take a look at who ran the closest to the 2.950 target in 2011. 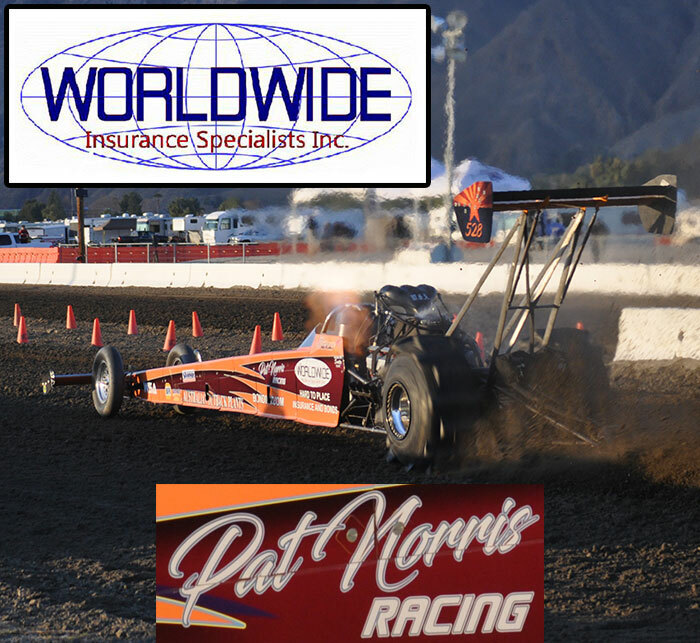 Swag Racing and National Sand Drag News announce the 2012 Dome Valley Raceway Point Series. This series will consist of the three events in 2012 put on by Swag Racing at Dome Valley Raceway; Feb 3-5, March 3-4, and October 20-21. The latest points and news regarding this series will be posted on NSDN. Keep an eye out for a new page on the site with the details regarding this series. Dome Valley Raceway & Swag Racing has released the details on the upcoming 3rd Annual Top Fuel Showdown at the Wellton, AZ track. Links are listed below for the track Newsletter, Pre-Registration Form, and Event Schedule. For more information on this event, contact Mike at 928-941-0335, Tom at 231-206-8965, or Ernesto at 928-503-9675. 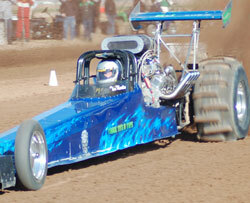 It is that time of the year once again; as we go through the Best Runs of the 2011 sand drag racing season. Since NSDN has the data from most major events across the country; we are compiling the quickest ET’s in the Top Fuel, Top Alcohol, Fast Fours, and Pro Outlaw FE classes as well as the closest to the Index runs in Top Eliminator. The data used is from events that NSDN either attended or data was submitted to us. Let’s kick off the countdown with the Pro Outlaw FE category this year. 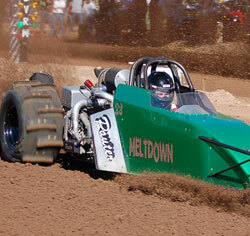 The Pro Outlaw FE class really came into its own in the 2011 sand drag racing season. Not only did the PTN series in the Midwest run this class, but the west coast adopted the same type of class at their events. The bar was raised in the ET department throughout the country in this wildly popular Front Engine category. Let’s take a look at the Best Runs of 2011 in Pro Outlaw FE. Quality Aircraft Care/Hammer Down Racing in association with the NSRA are announcing the 2012 NSRA Quality Aircraft Care Sand Times Point Series. This series will feature eight events in the southwest region. The racer's best six out of eight finishes will count towards the championship. Prize money is in the process of being secured, and announcements are to follow regarding this. Here are the race dates for this series. As we round the corner into December, it is hard to believe that it is already time to wrap up the 2011 sand drag racing season. This being the fifth season of sand drag racing coverage for National Sand Drag News saw us cover nine Daily Race Coverage events as well as post up results and news from countless other events all across the country. I’m very thankful for all of the folks that contribute to NSDN in one way or another. It is great to see so many folks across the country passionate about the sport of sand drag racing. 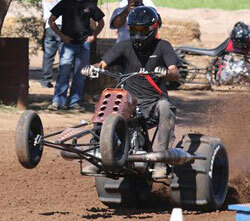 Dome Valley Raceway played host to an ATV event at the Wellton, AZ track in early November. Chuy Ortega and Swag Racing combined forces to put on this event that saw racers from as far away as Central California, Las Vegas, and even Puerto Rico show up to compete. Our friend Ruben Rodriguez of Crazy Photo Squad was on hand to take shots at this event. Let’s go through Ruben’s photos and recap this event.